It's time for a new challenge at Seize The Birthday, and this time the topping is Weather Element. Sun, clouds, rain, wind, whatever you like. I went for sunshine, which has been severely lacking this summer, although my neighbour has managed to grow several huge sunflowers. If you don't want to include a weather element, you can still play along with any birthday-themed project, so come and join us! 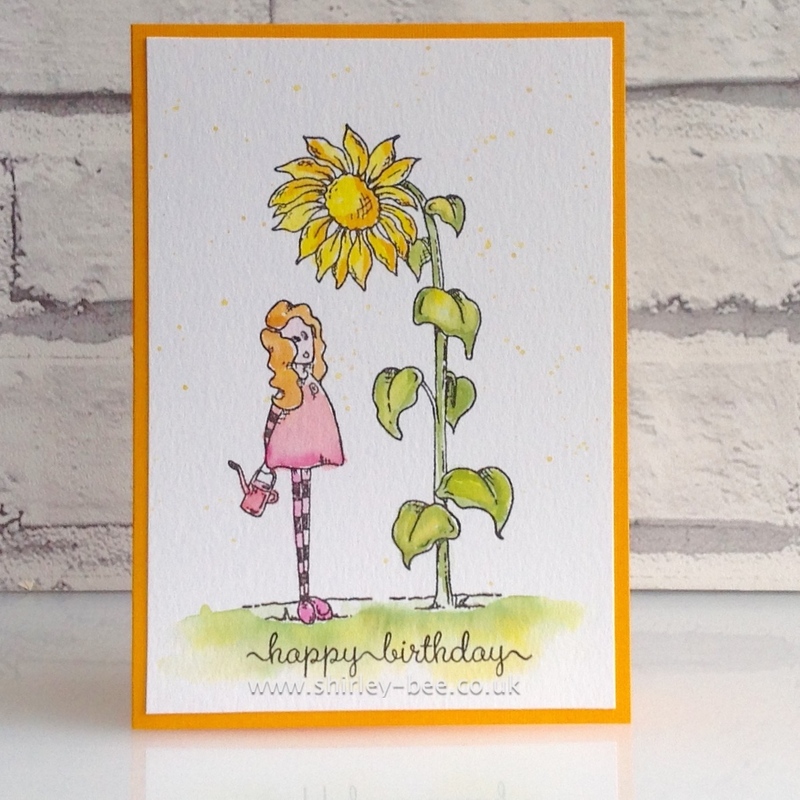 Just so adorable...love your fabulous sunflower! ...would you like me to ship you some Canadian sunshine? Honestly, I'd welcome a few cloudy days and a break from the heat! Our forecast temps this week are all above 30C. Wierd for this time of year! Quirky, funky, elegant and oh-so-cool! Love gardening and I love your card! Sorry your weather has been so gloomy! This card is sure to bring a smile to anyone's face! Great watercoloring! Wonderful colouring and I love the splatter in the background.